One of the saddest, more deplorable white collar crimes in the United States today, (and one which is surpassed in terms of rapid growth only by identity theft), is telemarketing fraud. Of course, not all telemarketers are criminals! Most are honest citizens. 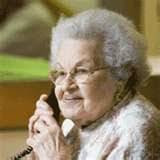 But telemarketing fraud costs its victims, who are often elderly and poor, millions of dollars each year. According to the National Consumer League, the average loss to each victim is nearly $3,000.00. As a former federal prosecutor in Augusta, Georgia, I prosecuted one telemarketer who utilized one of the most common telemarketing fraud schemes: the lottery prize scam. Telemarketing fraud has its own lexicon or terminology. This con artist had obtained a "sucker list," which is a target list of potential elderly victims, called "marks," including their addresses and telephone numbers. He also opened a "boiler room" in Augusta, Georgia, containing alot of telephones. He then began recruiting employee-callers at local bars, who were then instructed to call and make a pitch to the targeted victims. The pitch consisted of informing them that they had won a (non-existent) lottery prize and had only to pay (bogus) taxes in order to receive their prize winnings. I learned from this case that, as in most telemarketing faurd schemes, this con artist had deliberately set up shop here in Augusta, while most of the targeted victims lived in Oregon and northern California. The con artists realize that they have a better chance of getting away with their crimes if they are located far away, geographically, from their victims. Fortunately, this case has a happy ending. This con artist made the mistake of calling one dear 83 year old woman who smelled a rat from the beginning. She convinced the con artist to call back--after she had wisely alerted law enforcement officers, who were prepared to record and trace the call. The F.B.I. in Augusta, Georgia was then alerted and they did a fine job of catching our con artist before he could leave town, and before he could get away with any of the targeted victims' money! This telemarketer was sentenced to a lengthy sentence in federal prison! Bernie Madoff and The "Corporate Perp Walk"
How Some White Collar Criminals Get Caught! A PROFILE OF RICHARD H. GOOLSBY, SR.
What is "White Collar Crime?"